Finally, the solution to import your transactions. 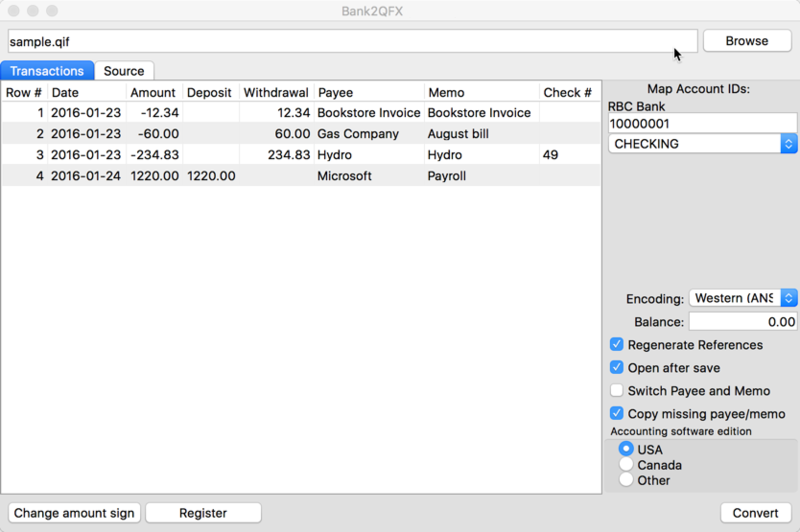 Convert QFX/OFX/QBO/QIF to QFX and import into Quicken, (PC/Mac). Created QFX files are regular Web Connect files for Quicken. Review transactions after import as you would do with transactions directly downloaded from your bank. Review transactions in a readable view before converting. Free trial (up to 10 transactions per file converted) is available. Support is available before and after purchase. Knowledge base with the solutions for similar conversions. Question and Answers page to ask questions and get help with developers and other users. Buy with confidence: money back guarantee is provided for 14 days. Save time and avoid data entry and manual errors.